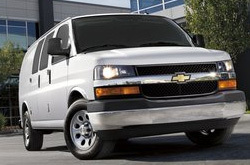 Reliable Chevrolet is your trusted Springfield resource for reviews of the 2013 Chevrolet Express. All Chevrolet dealers in Springfield are not alike. 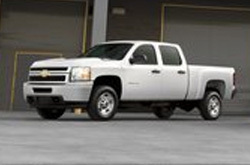 We feel it's our job to serve customers with quality Chevrolet reviews that set us apart from the typical dealer. Once you begin to read, you'll find that this article is loaded with worthwhile features and information. Is the 2013 Express right for your family? Continue reading and find out! By examining the 2013 Chevrolet Express to the 2013 Mercedes-Benz Sprinter, Ford E-Series, Ford Transit Connect and the GMC Savana, and you can find that the Express outperforms those autos in quite a few zones. Get a load of the hightlights below. Get a year warranty on repairs - plus access to genuine Chevrolet parts and fantastic Chevrolet technicians - at your well-known Springfield area Chevrolet repair center. When you bring your Express to our auto repair division in Springfield, you'll get tried-and-true service from our well-versed mechanics. Just a small percentage of the jobs our Chevrolet repair technicians do includes serpentine belt replacement, shock and strut repair and easy customary oil changes. For tried-and-true Chevrolet repair in Springfield, drive your Express to Reliable Chevrolet, where you can reckon on getting great service. Take a look below to view money-saving service specials.